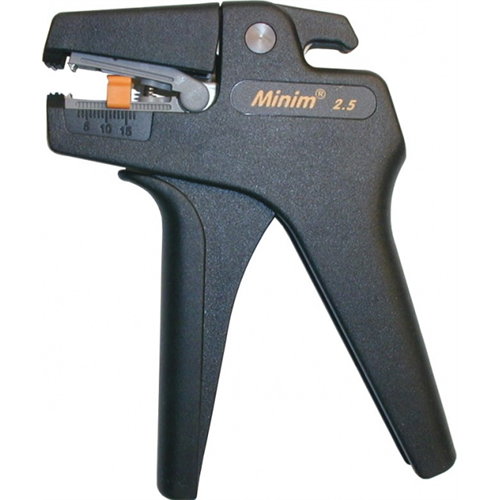 This self-adjusting wire stripping and cutting tool works with a wide range of wire from 30-13 AWG. The pistol grip gives increased control and greater precision vital for stripping smaller cables. For use with round, oval and flat wire cable and made with long life carbon steel and polymers.